Green beer, nearly legal drinking in the streets, and raucous, overcrowded parades; they all come to mind when we think of St. Patty's Day. But the holiday isn't just an excuse for the Irish (and the "Irish For A Day" types) to get a bit boisterous. These 10 cities have so much more to offer than just rowdy parties. Almost every celebration has Irish food, music, step dancing, and outfits ranging from shamrock sweaters to kilts. Whether it's a historical walking tour in Dublin, a traditional Irish tea party in Toronto, or the world's biggest parade in New York City, we've found plenty of activities that can be enjoyed by people of all ages. And what's more? We did some extra work and found tons of activities in these cities that you can indulge in long after St. Patty's Day is over. So, get your best green gear on, grab your lucky rabbit's foot, pinch someone, and get ready to celebrate in a big way. Here are the top 10 cities to celebrate this Irish holiday. Beantown is well known for its hearty Irish population, so St. Patrick's Day is always a barnburner. The parade, in its 113th year, brings one million people to South Boston (colloquially known as "Southie) to watch elaborate floats, Irish and American pipe and drum bands, and up to 100 social groups march. The parade does double-duty to mark another historical event: It commemorates "Evacuation Day," when British troops evacuated Boston on March 17, 1776. Enjoy Irish step dance performances and other free events at Faneuil Hall Marketplace throughout the day, or get rowdy on the Official Boston St. Patrick's Day Pub Crawl (tickets start from $10), when you'll hit up some of the city's best bars. While you're nursing your wicked hangover, grab a bite to eat at one of over 200 of the city's best eateries participating in Boston's Restaurant Week (March 17–22 and 24–29). Celebrate classic Boston spring traditions and catch a fly ball at the Red Sox's home opener against the Baltimore Orioles (April 8, 2 pm), or watch the Boston Marathon pass through the city (April 15). You can also get out of town and head to the Wellesley College campus to watch runners hit the famous halfway point or what most call the "scream tunnel" because of the thousands of women spectators out cheering for the runners. If you're more of a history buff, don your tri-cornered hat and celebrate Patriot's Day, which falls on the same day as the marathon. The day pays homage to the famous "shot heard 'round the world" that began the battles of Lexington and Concord during the Revolutionary War. There are festivities all weekend, including battle reenactments, historic home demonstrations, and a visit from Paul Revere himself (April 13-15). Book flights, hotels, and more on our Travel Search. You might not know it, but Argentina actually has the fifth largest Irish community outside of Ireland! What was originally a small affair, La Fiesta de San Patricio has become a huge party across the city. If you want to be at the heart of it, head to the Reconquista, a street in the center of town lined with countless Irish pubs. Tens of thousands of partiers gather outdoors and drink, celebrate, and sing in the streets until dawn. You should definitely check out one of Buenos Aires' oldest Irish pubs, Down Town Matias (it's a block off the Reconquista). They serve up over 120 kinds of whiskeys and often have live Celtic music playing. If you're still around on March 22, you might be lucky enough to nab a ticket to the FIFA World Cup qualifier soccer match between Argentina and Venezuela at the River Plate Stadium (March 22, 9pm). Later on in spring, be sure to check out the Buenos Aires International Festival of Independent Film (April 10–21). With 13 years of screenings under its belt, the festival has made a name for itself as one of the most recognized and well-respected film festivals in the world. Immerse yourself in the tango culture of Buenos Aires, where the dance art form originated, and go to a "tango house." One of the oldest and most authentic is El Viejo Almacen, which holds a dinner and show combo ($140 per person). In June the whole city celebrates the anniversary of the death of Carlos Gardel (often referred to as The King of Tango) with tango demonstrations and displays across the city. In the spring, visit the king's former home, which is now a museum, for a tour ($1 entrance fee). Book flights, hotels, and more on our Travel Search. Perhaps one of the most exciting things to do in the States on St. Patrick's Day is watch as the Chicago River is dyed green. Nearly 100 pounds of green dye is dumped in the river before the famous Downtown Chicago Parade begins at noon on March 16 (always a Saturday, either on or before St. Patrick's Day). The parade usually lasts around three hours and has been around since 1843. Each year, Irish-inspired floats and dancers march in front of 200,000 spectators. Enjoy some green beer at spots like The River Shannon (Chicago's oldest Irish pub), Fado Irish Pub, or Poag Mahone's, which all host rowdy Patty parties. If you're looking for something authentically Irish, head over to the Irish American Heritage Center which hosts a party with traditional and contemporary Irish music, dancing, food, children's activities, and beer (naturally). If you're a sports fan, Chicago in the spring is the place to be. Attend a Bulls basketball game, watch the White Sox at U.S. Cellular Field, or enjoy a hot dog while cheering for the Cubs at Wrigley Field. For one day only, sip on beers from all over the world at the Chicago Beer Festival (March 30). Admission is just $40, which gets you unlimited tastings for three hours at Union Square Station. While walking the city, take a moment to look around – you might find some of the large-scale art pieces that have been set up in celebration of Chicago Artists Month. Specifically, the Chicago Sculpture Exhibits can be found in Wicker Park, Lincoln Park, Lakeview, and Edgewater. Book flights, hotels, and more on our Travel Search. The United Arab Emirates city-state probably isn't the first place you think of when St. Patty's rolls around, but Dubai is actually home to many Irish ex-pats. The Dubai Irish Society hosts their annual St. Patrick's Day Ball on March 14 at the swanky Atlantis Hotel (tickets are about $136). For a more casual affair, the four-day celebration at The Irish Village will do the trick. Music is this event's main appeal, with performances from traditional Irish bands like The Molly Maguires, The Maplejacks, and others. On the big day, get there for an Irish buffet lunch and dinner! Place your bets at the Dubai World Cup, a thoroughbred horse race known for its luxury. Attendees can take advantage of several amenities, such as top-tier restaurants, lounges, and private suites (March 30; general admission seating is free). Youngsters and pop-culture-junkies can get their fix at the Middle East Film and Comic Con. The largest pop culture event in the Middle East, the convention focuses on art of all kinds – film, television, comics, animation, and more (April 5–6; tickets are about $20). If you've got a fever and the only prescription is more Justin Bieber, the pop star will be performing at The Sevens Stadium on May 4 (tickets around $95). Book flights, hotels, and more on our Travel Search. This list wouldn't be complete without Dublin! While it wasn't the first city to have a St. Patty's Day parade, we won't hold it against them because they still have some of the most [sham]rockin' parties the world over (we had to say it). Start the celebration the week before and take a walking tour of the city with Irish author and historian Pat Liddy. He'll guide you around in the footsteps of Saint Patrick, with stops at medieval cathedrals and historic sites in the city (tickets start at around $15). Of course, you won't want to miss the main event; join thousands of other spectators as they watch the parade starting at Parnell Square. Next, head over to the Irish Craft Beer Village, where you'll learn about the emerging craft beer community in Ireland, drink, and enjoy some Irish music (tickets are around $6.50). End your day at one of Dublin's more than 1,000 pubs for a pint of Guinness, or go on a pub crawl with Dublin City Pub Crawl (tickets under $20). You'll get to see many of the city's most famous buildings being lit up in green, an event known as Greening the City. You can't go to Ireland in 2013 without taking part in at least one ‘gathering.' Over the course of this year, Ireland is holding The Gathering, which means people will come together from all over the world to celebrate Ireland in Ireland. Clan gatherings, festivals, sporting events, and concerts year-round commemorate the special occasion. Go onto the website and find a gathering near where you're staying. For a lower-key experience, visit the Malahide Castle and Gardens which opened up this year after being closed to the public for two years during renovations. Take a tour of the historic castle and learn about the Talbot family, who lived there from 1195-1975. The best part? This grandiose castle is just a short 30-minute drive from downtown Dublin. For a more foodie-friendly experience, the Dublin Bay Prawn Festival is not to be missed. The three-day event features a food village packed with stalls and tasting sessions, street entertainment, and fireworks on the harbor (April 25–28)! Book flights, hotels, and more on our Travel Search. Known as the "Emerald Isle of the Caribbean" it's really no surprise that St. Patrick's Day is a big deal on this sunny island (which has a shamrock for it's passport stamp). For one, it was settled by the Irish back in the 17th century and to this day, it's the only other country in the world (other than Ireland, itself) that considers St. Patty's Day a national holiday. Nowadays, the holiday is celebrated with an entire St. Patrick's Week with parades, concerts, church services, and dinners (March 9–18). Particularly exciting events are the African Music Festival concert on March 16, the Slave Feast the day after St. Patrick's (commemorating the past slave culture on the island), and the spectacles of the masqueraders, with street dancers in costumes and headdresses. Stay on the island after the festivities are over and go on a Montserrat volcano tour. Back in 1955, Soufriere Hills erupted and left nearly two-thirds of the island uninhabitable. For a spectacular view of the still-active volcano, head to the Montserrat Volcano Observatory. You can also take to the sea for a Plymouth boat tour by Monkey Inn & Dive Shop. From the water you can see the actual path of the lava flows that destroyed the island ($55/person). Looking to learn more about Monserratians? Head to the National Trust which is dedicated to preserving the past and present on the island – check out the lush botanical gardens which has plants the people traditionally used as medicine, or go on a hike through their Dry Forest. 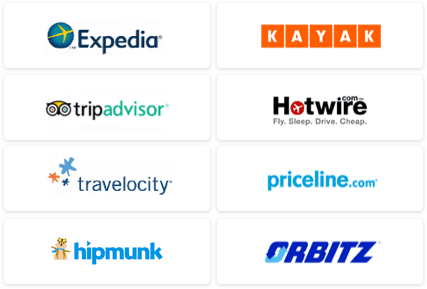 Book flights, hotels, and more on our Travel Search. St. Patty's Day in New York is the stuff of legends. The Big Apple's St. Patrick's Parade, over 250 years old, is the oldest and biggest in the world. Led down Fifth Avenue by the 69th Infantry Regiment (a military unit known as "The Fighting 69th"), the procession of roughly 150,000 is filled with firefighters, military and police groups, bands, and many more. Though only traveling a mile and a half, the parade often lasts up to five hours. But don't think that gives you ample time to arrive when you please. The event draws up to two million spectators each year, so you'll have to stake out a good spot early. Afterwards, grab a pint at the oldest Irish pub in the city, McSorely's Old Ale House in the East Village. Established in 1854, the bar was one of the last "Men Only" pubs in the city (one of its original mottos was "Good Ale, Raw Onions, and No Ladies"). The spot eventually relented and permitted women to enter…in 1970. Celebrate spring in New York at the 11th Annual Orchid Show at the New York Botanical Garden, where thousands of colorful flowers will be in bloom (through April 21). Be sure to check out The American Museum of Natural History for the "Whales: Giants of the Deep" exhibit. The museum's famous big blue whale will get some new friends, including a 58-foot-long sperm whale skeleton (opening March 23). Come April, the annual Tribeca Film Festival returns to lower Manhattan, showcasing a slew of up-and-coming filmmakers (April 17–28). Book flights, hotels, and more on our Travel Search. Another unexpected enclave for the Irish, Singapore throws a mean St. Patty's party. The country's St. Patrick's Society promotes Irish culture with social events and gatherings throughout the year, all culminating in the annual St. Pat's Ball. Unfortunately, the ball is exclusive to society members. But, if you're not a member, don't fret – Singapore's St. Patrick's Day Street Festival, the largest in Southeast Aisa, goes for three days (March 15–17). The affair kicks off Friday with a Green Party at Boat Quay, while Saturday visitors can shop at the street market, listen to traditional Irish music, and learn Gaelic Football and Hurling. The festivities conclude with a parade at 3pm on Sunday. The event also coincides with World Down Syndrome Day, with music and dance to commemorate both. The Singapore Art Museum partnered with the Singapore Association for Mental Health to present "Every Thing Matters," an art exhibition featuring pieces from patients of the association (tickets $10 for adults, $5 for students). Theater fans can enjoy a new season of Shakespeare in the Park, presented by the Singapore Repertory Theatre. The next show is Othello, from April 24 to May 19 (tickets start at $45). If water sports are your entertainment of choice, the Extreme Sailing Series will feature some of the world's greatest competitive sailors (April 11–14). Book flights, hotels, and more on our Travel Search. Erin go bragh down under! Sydney's St. Patrick's Day Parade and Family Day's theme this year is Sydney Celebrating Its Irishness, and the aussie's are going all out. Those marching in the parade can choose from seven categories that demonstrate the country's Irish heritage, from Convicts and Rebels to Ireland of the Present. The parade aims to weave a narrative chronicling Irish history in Australia, using music, floats, theatrical performances, dancers, and more. Following the procession, tote the tots over to Family Day at Hyde Park, which showcases an array of Irish step dance performances, bands, storytellers, an interactive baking demonstration, and an appearance by St. Patrick himself. For the older set, hop on the St. Patrick's Day Cruise for a tour of iconic Sydney Harbor and three hours of open bar, music, and games (tickets from about $71). No matter where your interests lie, the city is a hotbed of cultural events. If you're intrigued by Sydney's storied history, make sure to see Convict Sydney at the Hyde Park Barracks, where thousands of convicts once lived (through May) (tickets for adults $10, children $5). Fashion-forward visitors can get tickets to Mercedes-Benz Fashion Week, where esteemed and promising designers show their latest lines (April 8–12). Sci-fi buffs can geek out at the Fantastic Planet Sci-Fi and Fantasy Film Festival, which opens with the heart-pumping thriller "All Superheros Must Die," which is about four superheroes, stripped of their superpowers, who band together to stop complete world annihilation. Book flights, hotels, and more on our Travel Search. One of the main events in Toronto is the Grand Marshal's Ball, which is held on the Friday before the holiday this year. The party includes a gourmet sit-down dinner, live entertainment, and drinks (tickets under $150). The city's parade is high energy but not as rowdy as others on this list. If you don't want to head straight out to the bars, check out Montgomery's Inn (a community museum), which is holding St. Patrick's Day Tea from 1-4pm, complete with classic porter cake, shamrock cookies, and more (tickets under $10). End the night at McVeigh's, one of the oldest Irish pubs in the city. From March through early April, get out of the city and "tap into nature" at the Sugar Bush Maple Syrup Festival. About a 30 minute drive outside the city, the event features maple syrup tapping demonstrations, horse-drawn wagon rides, and other kid-friendly activities. Back in Toronto, see the city skyline from the water on a ferry ride out to the Toronto Islands. Have a spring waterfront picnic on Centre Island, then go to Centreville Amusement Park for the rides (opens May 4). For those looking for a little more excitement, take an Edge Walk on top of the CN Tower. You'll traverse the top of the tower (don't worry, you're connected to a safety rail with a harness) and you're encouraged to lean over the edge – over 1,100 feet and 116 stories in the air (tickets are $165)! A natural next step is heading to 360° Restaurant, also in the tower. For a true panoramic view of the city, sit down for dinner or drinks at the rotating restaurant. 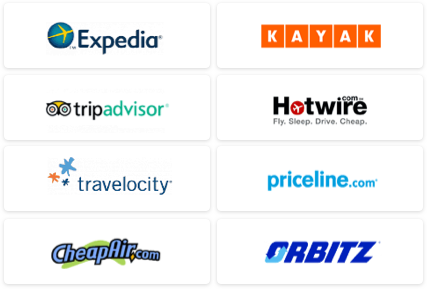 Book flights, hotels, and more on our Travel Search.